In 2016, President Maithripala Sirisena launched a mission for Sri Lanka to grow our own nutritional food without the use of sometimes poisonous, chemical fertilizers, weedicides, pesticides or preservatives. At present, Sri Lanka imports junk foods or processed rubbish by spending hundreds of millions of dollars a year. 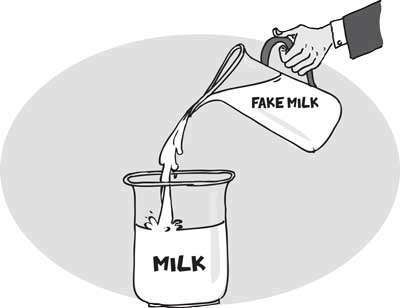 At the same time, a country that was largely self-sufficient in fresh milk, now spends almost 500 million US dollars a year on the import of powdered milk which is widely seen by people-friendly nutritionists as artificial or fake milk. Unfortunately, unprecedented droughts and floods — largely caused by climate change or global warming — retarded our mission to grow our own food. We hope that 2019, the final year before the next Presidential election, will see the President going all out to make the mission a success with wholehearted support from government ministries and even opposition parties. This comes amid a new campaign by what is widely seen as the world drug mafia or transnational medicinal drug corporations. The campaign involves artificial vitamins or so-called nutritional supplements. Recently, patients pointed out, that after a campaign by drug company marketing representatives, private hospital medical specialists began prescribing vitamins such as B and D in some cases as much as 3000 to 5000 milligrams of these. The vitamins or nutritional supplements are widely marketed mainly in private hospitals and it is unfortunate that medical specialists appear to be allowing GCE O/Level or A/Level qualified marketing representatives to teach them about medicinal drugs and nutrition. They appear to have forgotten or prefer not to be aware of our ancient culture where the Tripitaka, recently declared a national heritage, tells an important story the Lord Buddha had told his physician Jeewaka. He told him to find at least one plant or herb that did not have medicinal or nutritional value. The physician could not find even one which means that all our plants, small or big, have food and nutritional value. What we need to do is to study about them and we will find how much food and nutritional value there is in plants such as Murunga, Kathuru Murunga, Karapincha, Gotukola or other green leaves and hundreds or thousands of vegetables or fruits grown widely here. Another good step would be to start our home gardens wherever possible. Although it is more difficult, the family would be able to eat nourishing and tasty food without consuming a little poison by buying food from outside. In 2004-2005, Prof. Weerasuriya played a key role in drafting a policy to implement Prof. Senaka Bibile’s essential medicines concept to make quality drugs accessible to all people at affordable prices and import only essential medical drugs. After long delays and drawbacks, the policy was implemented in 2016 and is now being gradually practised. In his talk, Prof. Weerasuriya focused on areas such as breastfeeding and how milk food products were being promoted and advertised for infants after 6 months and children up to 5 years. This had been going on for decades and he analysed the whole process. Breast milk has been under attack but has some protection from an international code though the attack continues. None of the infant formulas and follow-ons has scientific validity and there are problems, long-term safety. But the sales of these products are clearly increasing -– who is responsible? Advertising, promotions, doctors, mainly paediatricians. Pointing out that two major foreign companies were profiting, the Prof. inquired whether they sell these same products in the same way in their countries? “Observe the companies for what they do rather than what they say,” he advised Sri Lanka’s people.